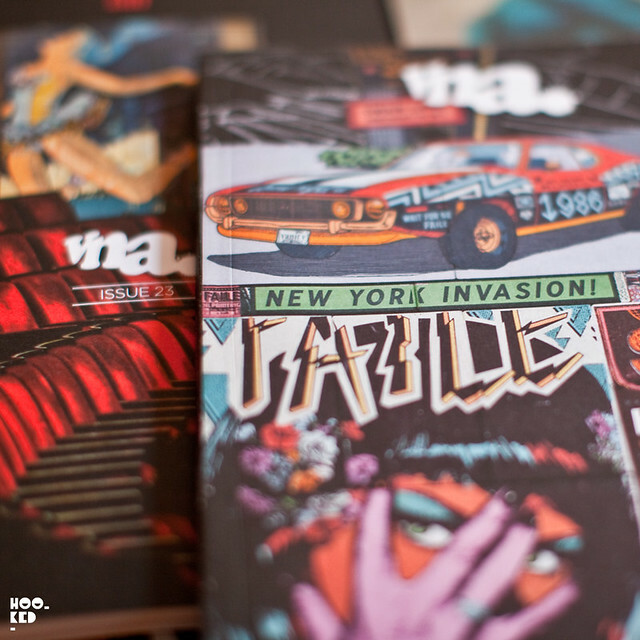 New York get ready for the invasion, our friends from VNA Magazine are currently making their way across the Atlantic for the release of their 23rd issue of the magazine featuring the prolific New York duo, FAILE as this issues cover stars. As with previous releases of the magazine, VNA will release a limited edition screenprinted version but on this occasion the release is extra special, as FAILE have hand screen-printed the magazine covers themselves in their Brooklyn studio. The new issue will be dropping this Wednesday, 31st July in the heart of the Lower East Side at Reed Space in NYC. 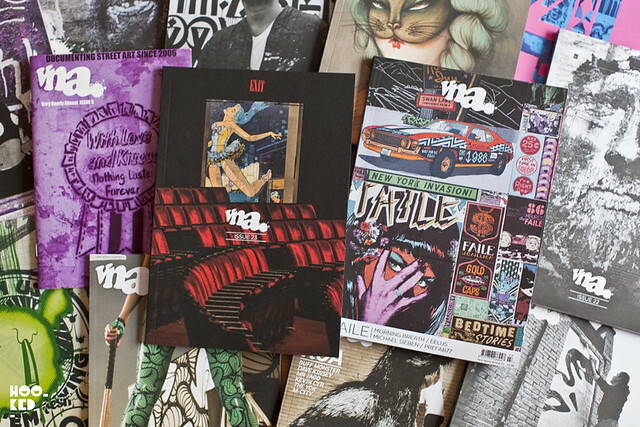 A total of 75 copies of these limited edition Faile printed magazines will be available to purchase for $60 at the event (cash only) alongside the regular editions of VNA issue 23. Following the New York launch, the VNA team have planned a London launch following their return. They will be holding the UK launch a week later on the 8th August at Lazarides Gallery. A number of the limited edition Faile printed covers will be kept for the London launch and will be on sale for £40. Reed Annex - 161 Orchard Street - New York - 10002. The regular edition of VNA issue 23 can be purchased now online from the VNA Magazine website here. We will see you all at the London launch next week.